Our vision is to continue to combine our advanced production techniques, sophisticated R&D processes and strong marketing abilities to continue to achieve market dominance. Throughout China Green Agriculture’s history, we have grown through strategically planned expansion and development. We have built a base of solid competitive advantages to become a leading player in a multi-billion dollar industry. With our production capacity, we are ready to move into our next stage of business development and expansion. Our products are high quality and tailored to specific market niches and needs and our production and R&D resources are world class. We plan to use current market knowledge, R&D skills and an extensive nationwide distribution network combined with a capital injection to continue to expand our market share. We believe that this is an achievable goal in the mid-term. 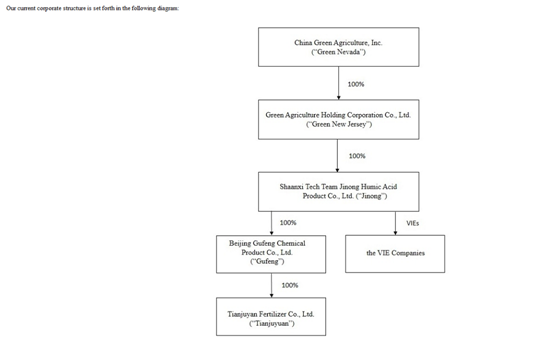 China Green Agriculture has over 600 full-time employees, all of whom are graduates of universities or colleges. We pay great attention to the living and working conditions of every member of our staff, regularly performing independent as well as the governmental checks and audits. Staff members are encouraged to develop their professional skills through various training classes conducted by the company China Green Agriculture also has incentive schemes in place to reward employees that help boost productivity.